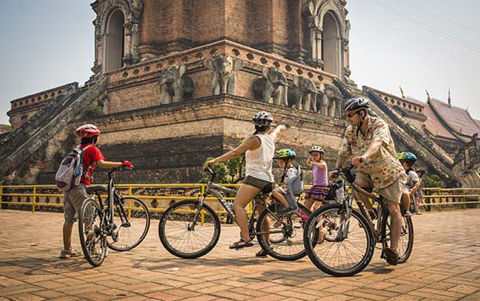 Chiang Mai is located about 696 kilometres north of Bangkok with a population of about one million. 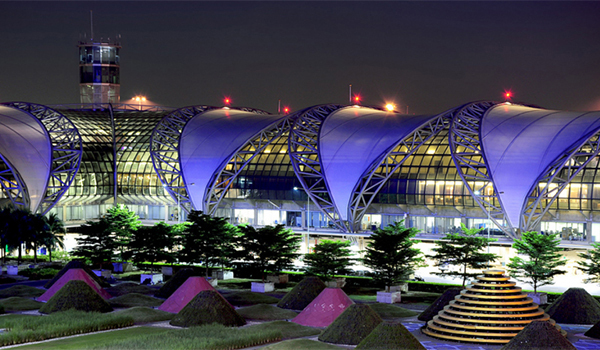 It is known as an important city that leads the economy and culture of Thailand’s northern region. Chiang Mai is a city where many buildings stand in lines, but shows beautiful scenes that harmonize with nature. On the sides of the streets of central Chiang Mai, you can find various types of trees, symbolizing the city grow thick and rich green. Furthermore, The Ping River also flows through the central part of the city. Take Thai Airways, Thai Smile, Bangkok Airways or Thai Vietjet flight operated daily from Suvarnabhumi International Airport (BKK) to Chiang Mai International Airport (CNX). Airfare is around 1,000-3,000 Baht with a flight time of about 1 hour and 15 minutes. 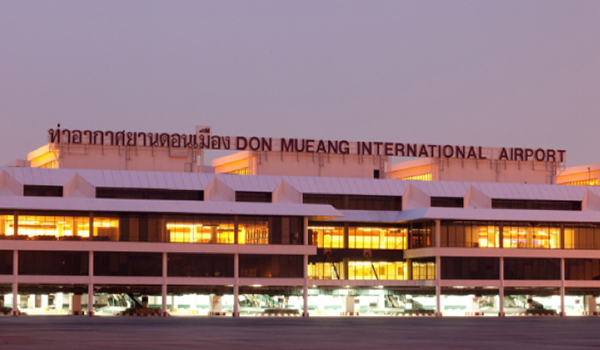 Take Air Asia, Nok Air or Lion Air flight operated daily from Don Mueang International Airport (DMK) to Chiang Mai International Airport (CNX). Airfare is around 800-2,000 Baht with a flight time of about 1 hour and 15 minutes. The Local Organizing Team provides complimentary shuttle service from Chiang Mai International Airport (CNX) to CMECC or the official hotels. 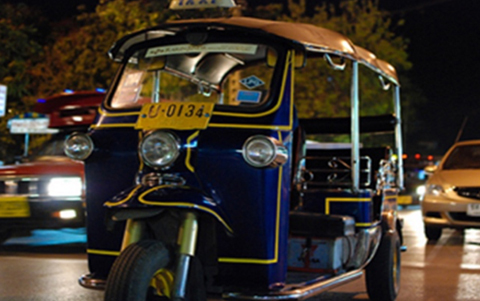 Taxi is a convenient way to travel within Chiang Mai. Most taxi drivers speak Thai and a little bit of English. For airport limousines, there will be another 50 Baht of service charge. All major international car rental companies, such as AVIS, Budget, and Hertz, as well as Thai car rental companies, have various vehicles for rent and are ready to provide suggestions on travel itineraries. Most rental agencies can be found at the airport. Be aware that only Commercial First Class Insurance provides full coverage on rental cars, opposed to limited personal or third party insurance. Most international car rental agencies will offer this insurance (some only for those with a valid international driver’s license) while local companies may or may not. You may wish to request a copy of their insurance policy and ensure that it states “For Commercial Use”. Regardless, inspect rental vehicles prior to rent and drive with caution as traffic in Thailand can be quite confusing, especially the habit of Thai motorcycle drivers as they often drive on the wrong side of the road. Songtaews (red pickup trucks with benches) are the most common ways to travel in Chiang Mai. Passengers can hop in and out as they wish. Simply tell the driver the destination and negotiate the price before boarding. Fares range from 10-20 Baht, depending on the distance, considerably more for long rides up to Doi Suthep, where the Songtaew will wait for you to explore the place and then return you to town. 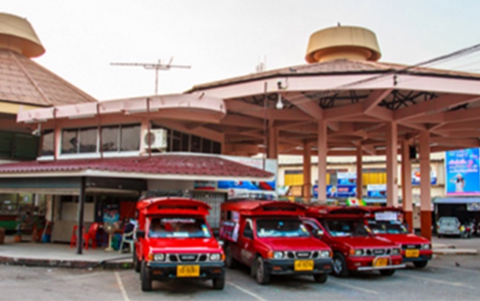 If you travel to any district in Chiang Mai, use the Chang Phuak Bus Terminal located on Chotana Road, Tel: (+66) 53211586. Destinations include those located along the northern route (Highway No. 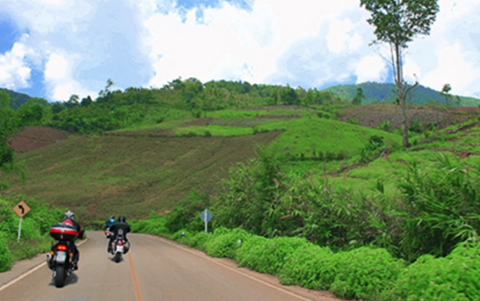 107) which passes through Mae Rim, Mae Taeng, Chiang Dao, Chaiprakan, Fang and Mae Ai. 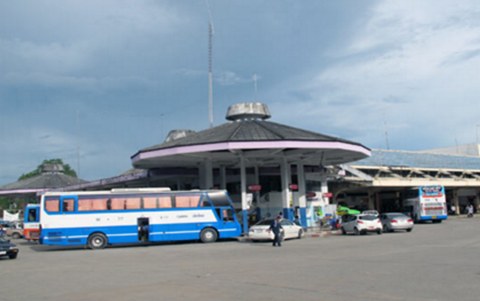 Some buses continue to Tha Ton, the northern-most district of Chiang Mai. From 150 to 1,000 Baht per day, you can hire your own motorbike, which will typically require you to leave your passport as a deposit. Be sure to inspect bikes prior to rent and drive with extreme caution as renting motorbikes are not normally insured and accidents are frequent. Helmets are required by Thai law and foreign visitors unfamiliar with either driving motorbikes or driving in Thailand should drive carefully and obey all local traffic rules (there are numerous one way streets in Chiang Mai city). For short distances, you can take a samlor or tuk-tuk, three-wheel cabs that are respectively pedal or motor powered. Fares can be bargained before boarding. Short rides within the city range between 20 to 30 Baht. Longer rides may cost as much as 50 Baht. * Men end a sentence with "krab"; women with "ka" in a polite way of speaking.